This one is like our Italian Bratwurst, but hot. Therefore you’ll still be able to taste all the flavors but now it has that nice chili note to it. 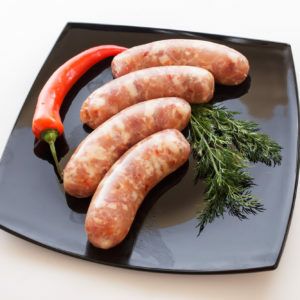 Above all our Hot Italian Bratwurst comes with quite a distinct fennel flavor. These fennel seeds create a very flavorful combination with the meat. 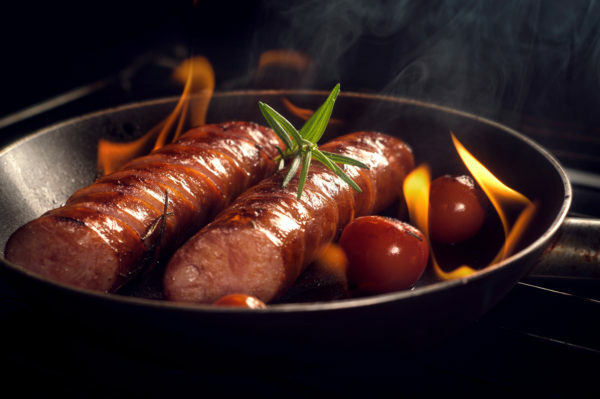 The taste of of freshly grilled Hot Italian Brat is mouthwatering, fresh and everything a sausage needs to be. 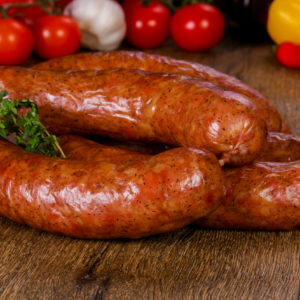 To summarize it we adopted the traditional Italian recipes and added some spices we thought appropriate and created these awesome sausages with that spicy edge to them. 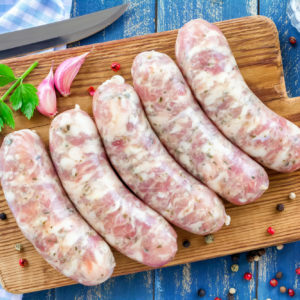 Some people just slice up this sausage and use it for their pasta dishes, some put it over their salads to give it a more savory taste and some use it as their stuffing. Put them in the pan or BBQ on medium heat and fry them for 10-12 minutes each side. This is the best way to prepare them. 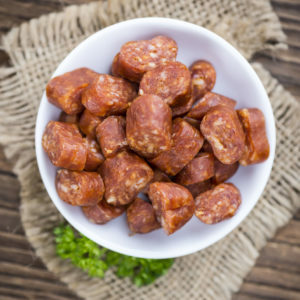 Now you can use them however you like and add them to your favorite dishes and enjoy our Hot Italian Brats.